SISIS Announce Stephanie Ambler as Export Sales Administrator. Sisis is pleased to announce the appointment of Stephanie Ambler as export sales administrator. The newly created role also signals the company’s rapid growth in the export market. After spells of working for a fine art shipping company and a high level auction house in London, Stephanie (Steffi) has spent the last six years working in the export department at Royal Crown Derby. “I’m very excited about this new position. Already, I am really enjoying being a part of such a highly motivated company in which everyone takes pride in producing such an internationally recognised high end product,” says Stephanie. 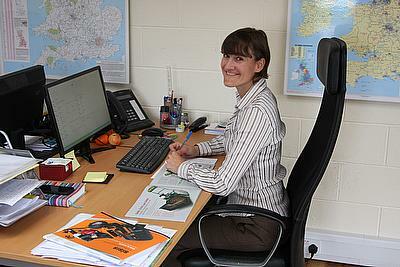 Stephanie will be liaising with the company’s export sales team, dealers and customers. Ultimately she will be ensuring that, for the customers, the process from placing the order to obtaining the products is as effective, efficient and high quality as the products themselves. Roger Moore, customer manager for Dennis and SISIS, appears to be equally excited about the appointment and identified the new role as being a significant step forward in the growth of Dennis and SISIS.